This week the focus has been on the greed and tax avoidance practiced by the world’s rich through tax havens like Panama. It’s a nasty story, with megawealthy people hiding their profits and assets behind a veil of offshore secrecy. But disgusting as it is, some people aim much higher. Why hide and avoid the government when you can actually take it over? This sort of activity even has a name – state capture. 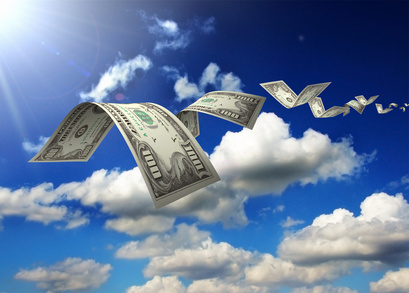 We’re not talking about the Republican Party leaders with an (at least partly) open policy to reduce taxes on the rich, we’re talking about people deliberately setting out to twist government policy to their will – with the one objective of making them super rich and super powerful. 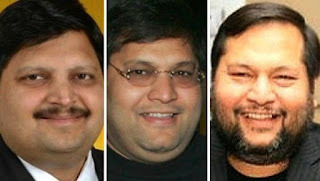 Enter the Gupta brothers. As with most stories, there are two sides depending on who is telling it. From the family’s point of view, three brothers came here at the dawn of the new South Africa to make their fortunes in what was then Africa’s largest economy. By dint of hard work, good management, and a little capital, they built Sahara computers from scratch – an offering of cheap imports and locally assembled products. From there they went on to mining, energy, a newspaper (which supports the ANC government), a news channel (which supports the ANC government) and so on. They became South African citizens and aligned themselves with the country. That’s all true, although they started with rather more than a little capital. But there’s more to it. They made it their business to get close to the government and to the heirs apparent. Early on they spotted two things about our current president, Jacob Zuma. First, he's a tenacious political infighter with a wide net of influence built across the party and across family relationships, and second he is corruptible. Suddenly his son was a director of, and then participant in, their mining business. They supported Jacob Zuma in his struggle to oust the previous president Thabo Mbeki from the party leadership. Almost as soon as Zuma became leader of the ANC, his daughter became a director of the computer business. 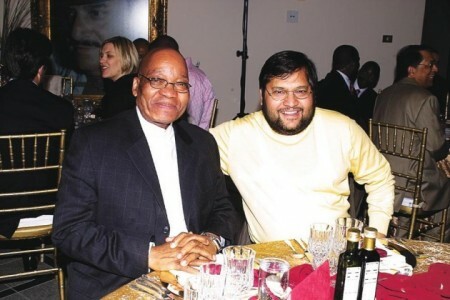 The Guptas were backing the right horse. The brothers, now extremely wealthy, were happy to oil wheels for the president when things got sticky. No doubt the favors flowed both ways. But they went over the top. 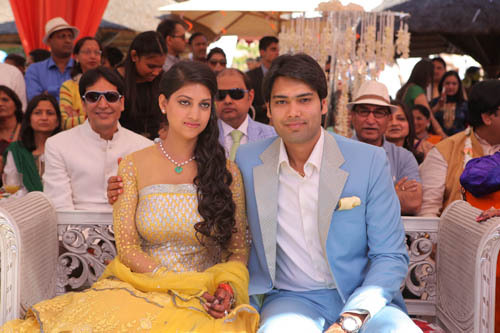 They used a South African military air base to fly in guests from India for one of their daughter’s lavish wedding. The public outcry at this became known as Guptagate, and even the president felt things had gone too far. He cancelled his attendance at the wedding, demoted the official who had arranged permission for the landing, and things got chilly for a while. 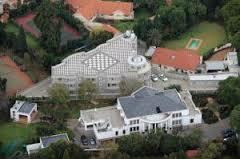 There have been rumors of private meetings and parties in the Gupta’s four mansion compound in one of Johannesburg's poshest suburbs, where inappropriate discussions were held about political decisions and appointments. At last the deputy minister of finance came clean and admitted that a Gupta brother had offered him the Finance ministry. Zuma was elsewhere in the house at the time. To his credit, he turned the offer down, but said nothing. I guess a business empire appointing the finance minister would be as good a definition of state capture as you could come up with. But that revelation was a bridge too far. Zuma has been personally weakened by the Nkandla debacle, but his party rallied behind him. Until last week, it was widely believed that the money Zuma would be forced to pay back for his Nkandla extravagances would be covered by the Guptas. But already the ANC was joining the opposition in decrying the brothers’ behavior with cries of "South Africa is not for sale!" After all, with their political clout gone, what did they have left? Not family ties. Not so called struggle credentials - they came to South Africa as a land of opportunity not to help overthrow apartheid. They are, in the end, foreigners, and foreigners can make easy targets. Last week in response to the state capture revelations, all the country’s major banks closed the Gupta's accounts and severed ties with the brothers and their companies. The Gupta's resigned their directorships and the word is that the companies will be put up for sale. No doubt some rich pickings to be had for the remaining well-connected. 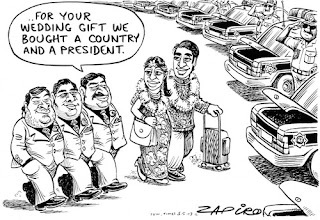 On Sunday a large van arrived at the Gupta compound, loaded up “enough luggage for twenty people” and headed off to the airport where the Guptas keep their private jet. Shortly after that they were heading for Dubai where the family has established a parallel home. Holy MOLY, Michael! What a story! And they get away scot free! But at least they will be out of South Africa. And good for the people who contributed to their exit. But SHEESH!! I am reading this just before lunch time in NYC. I am too nauseous to think about food after reading about all those disgusting people. Your medication must be getting to you, my dear! You're always thinking of food - good food. Actually, Stan, until I read this, I thought it was the antibiotics that were upsetting my tummy. "Take them with food," was advice the dentist gave me. This post has made that even more difficult than it already was. It should come with a warning. It's too bad these people rarely 'pay,' even when they're caught green-handed. I'm with AmA: my just-eaten breakfast is roiling uncomfortably in my belly. What a remarkable story. It sounds like they should be the villains in a James Bond movie, except the whole thing is almost too outlandish for that! Well, I've already been proven wrong. According to a newspaper report today, the once and future finance minister just delivered $400 million to Dubai in person. So they didn't wait for the money to be sent on! Michael, In what form? Certainly not 4 Million hundred dollar bills. Do you think? As much as I hate to say this, the entire episode should sound rather familiar to American History mavens...though a lot less sophisticated in the execution. Looks like the R6 billion rand story is a rumor based on a claim by one of the opposition parties. So maybe not. 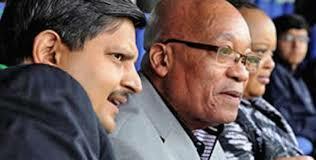 On the other hand, they were the ones who first announced that the Guptas were leaving South Africa.